BETHESDA, Maryland (June 2, 2016) — One of the Washington D.C. area’s largest and best known jazz clubs will sell to the highest bidder on Wednesday, June 29 at 11 a.m., with Auction Markets marketing the real estate and conducting the foreclosure auction. The historic Bethesda Blues and Jazz Supper Club, located at 7719 Wisconsin Avenue, Bethesda, underwent an extensive multi-million dollar renovation in 2013, making it one of the most modern venues in this wealthy region. 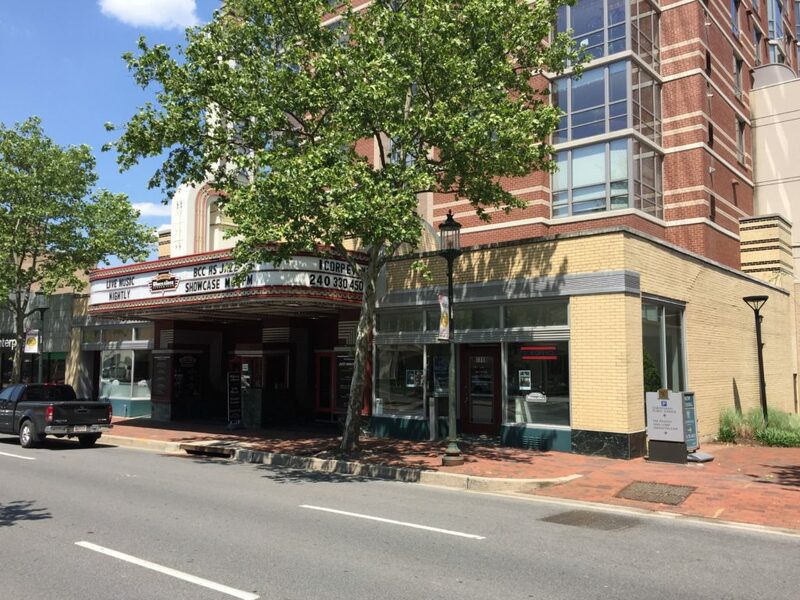 Originally built in 1938, it was first known as the Bethesda Theatre, designed in the Streamline Moderne architectural style by John Eberson, world renowned as the “Dean of American Theatre Architects.” The ceilings have painted murals reminiscent of its Art Deco heritage, and it is listed in the National Register of Historic Places. “This has everything owners look for in a nightclub – a great location in downtown Bethesda and minutes from D.C., incredible street visibility, plenty of parking, easy access via the Bethesda Metro Station off the Red Line, and a long history as a club,” said Karbelk. It seats 300 guests at tables, with stadium seating for another 200. Other features include a large wooden dance floor, modern sound systems, an impressive stage, professional lighting, a full-service kitchen, a green room and administrative offices. In addition to 15,100 square feet for the club, it is believed to have below grade improvements providing another 4,933+/- square feet of usable space. Additional information, including the legal notice, may be found at AuctionMarkets.com or by calling 571-481-1037. Auction Markets LLC markets and sells commercial and residential real estate.